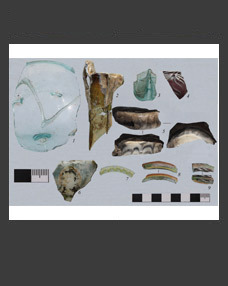 Key words: Late Chalcolithic, Kura-Araxes culture, Proto Kura-Araxes ceramics, at Ovcular Tepesi, comb ornamentation. It is known that the issues of the genesis and chronology of Kura-Araxes culture are still debatable. 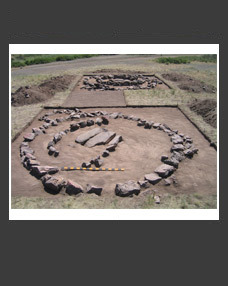 The archaeological research conducted in 2006–2011 at Ovcular Tepesi settlement has yielded important data on the genesis and chronology of Kura-Araxes culture. One of the pottery groups combines the technological and morphological features typical of the Late Chalcolithic and Early Bronze Age. This testifies to an interaction, at a certain period of time, between cultures of the Late Chalcolithic and Early Bronze Age. Analysis of the charcoal from an Early Bronze Age hearth at Ovcular Tepesi allows dating the initial stage of formation of Kura-Araxes culture to 4200–3400 BC. 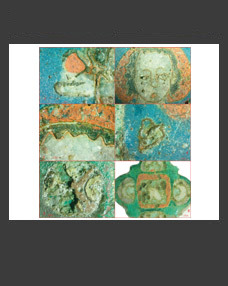 The so-called Proto Kura-Araxes ceramics is also known from the settlements Maxta Kultepe I, Xalac, Karatepe and Sadarak, and from sites in Eastern Anatolia.